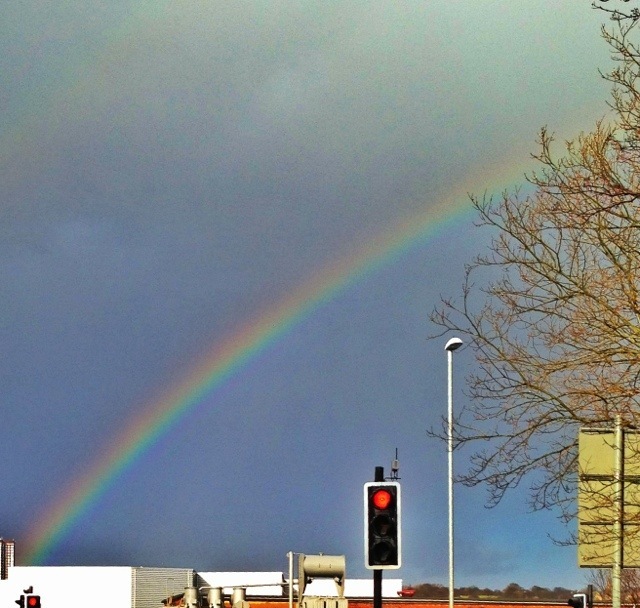 As I was going about my business this afternoon in Gateshead, this extraordinarily clear rainbow appeared. 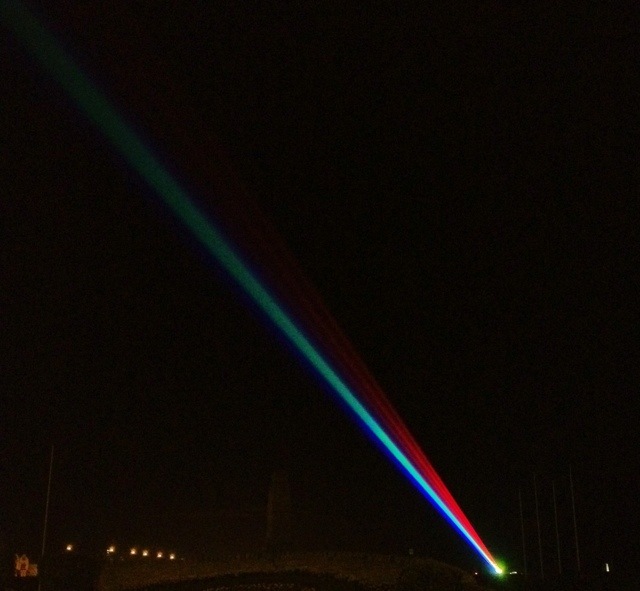 This was remarkably co-incidental, as I had already been planning to go and see Yvette Mattern’s Global Rainbow kicking off the Cultural Olympiad in North Shields this evening. It’s also visiting Preston (not far from my family home) and Newtownards (not far from Wendy’s family home) in the next few weeks, and has already visited New York, Berlin, Toulouse, Nantes, and Utrecht. It is a far more impressive sight than the photos here demonstrate, and has been spotted from 15 miles away in Sunderland. To give a sense of scale, the white smudge on the right of both of these photographs is the famous St Mary’s Lighthouse. Neither the real nor the Global Rainbow are especially easy to photograph using a mere iPhone, but I don’t think these turned out too disastrously! This 1,549th post was filed under: Photo-a-day 2012, Art, Gateshead, Nature, North Shields, Rainbow.